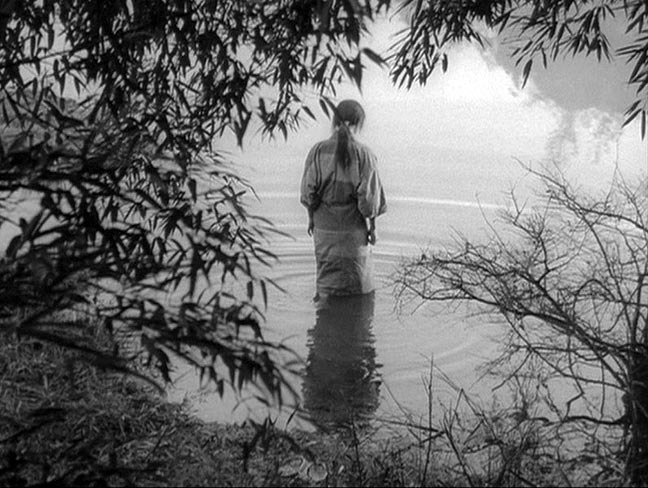 If I had to choose just one movie –- one movie –- above all others on this list, Mizoguchi's would be it. I've long felt that if there were a god, the closest expression we're likely to find on this earth is in this movie. It's not the only film on my list that gives me goosebumps whenever the title is mentioned, but I don't believe there's ever been a greater motion picture in any language. This one sees life and memory as a creek flowing into a lake out into a river and to the sea. That seems a little florid to me now (it was the night before I left for Toronto, and I was trying to tie together the imagery in the first and last shots of a masterpiece), but the emotions, and the awe, are genuine.